T.E.N. Announces 2018 Information Security Executive® (ISE®) Central Awards Nominees | Company Newsroom of T.E.N. ATLANTA, April 23, 2018	(Newswire.com) - T.E.N., a technology and information security executive networking and relationship-marketing firm, announced today the nominees for the 2018 Information Security Executive Central Awards. Executives include top-ranking decision makers representing organizations in financial services, commercial, health care, government and academics. Projects include large-scale technology endeavors that address key issues in the information security industry. - HMS, Security Risk Management & Assurance Program – Bringing it all Together! 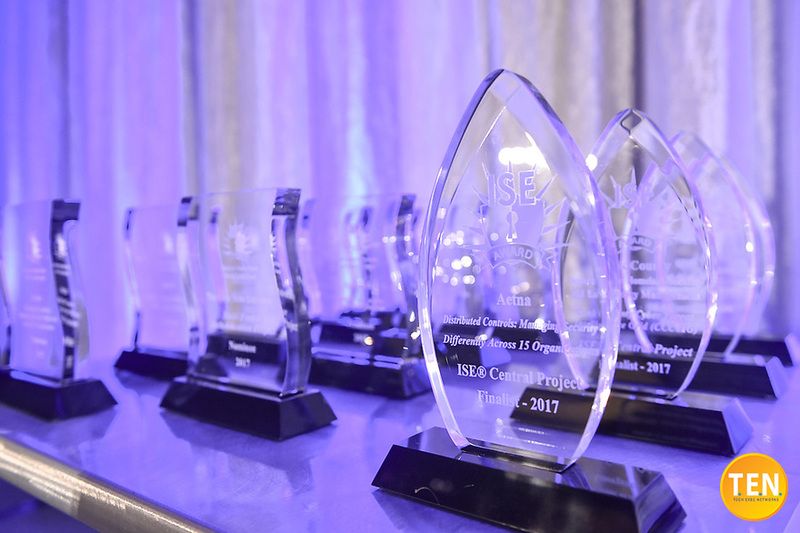 “The ISE® Central Awards offer cybersecurity professionals the opportunity to connect with their peers, collaborate with some of the finest minds helming leading security programs, and celebrate the hard-earned achievements and progress they have made in the realm of Information Security. The need for security executives has become more critical than ever and it has become vital that these security professionals have a network of peers to interact with, exchange ideas and best practices, and work together to create innovative ways to make our industry even more robust and forward-thinking,” said Marci McCarthy, CEO and president of T.E.N. The ISE® Central Awards recognize executives and projects which have made a positive impact on their organizations through risk management, data-asset protection, regulatory compliance, privacy and information security. Nominations are sent to T.E.N.’s distinguished panel of ISE® Judges for review and scoring. All nominees will be recognized at the ISE® Central Executive Forum and Awards on May 16, 2018, at The Westin Galleria Dallas in Dallas, Texas. Event attendees can earn up to five CPEs for participating in the event, which will offer dynamic presentations and engaging roundtable discussions — led by ISE® Alumni — highlighting a spectrum of the industry’s most critical issues and innovative best practices. Finalists and winners are announced at the awards gala that evening and recognized through press coverage and inclusion on the T.E.N. website. The event is made possible by kilobyte sponsors: Attivo Networks, Fortress Information Security, Okta, Qualys, Symantec and Wombat Security. We also want to thank display sponsors: Cyxtera and ServiceNow. T.E.N., a national technology and security executive marketing and networking organization, facilitates peer-to-peer relationships between top executives, industry visionaries and solutions providers in the cybersecurity industry. Nominated for numerous industry awards, T.E.N.’s executive leadership programs enable information exchange, collaboration and decision-making opportunities for Information Security Executives and cybersecurity solution providers alike. Its flagship program, the nationally acclaimed Information Security Executive® (ISE®) of the Year Program Series and Awards, is North America’s largest leadership recognition and networking program for security professionals. T.E.N. delivers ISE® Private Dinners across 42 major cities throughout the U.S. and Canada to create even more opportunities for Information Security Executives, professionals and security solution providers to Connect, Collaborate and Celebrate. For more than a decade, the Information Security Executive® (ISE®) of the Year Award Program Series has empowered security executives and their project teams to Connect, Collaborate and Celebrate. Recognized as the industry’s most prestigious IT Security award program, it has become the most anticipated award program for security executives and their project teams. Winners have included executives and project teams from leading organizations such as Aetna, AT&T, Bank of America, Comcast, Cox Automotive, Ellie Mae, HMS, Jabil, PayPal and SunTrust. Information Security, ISE Central, ISE Program, T.E.N.